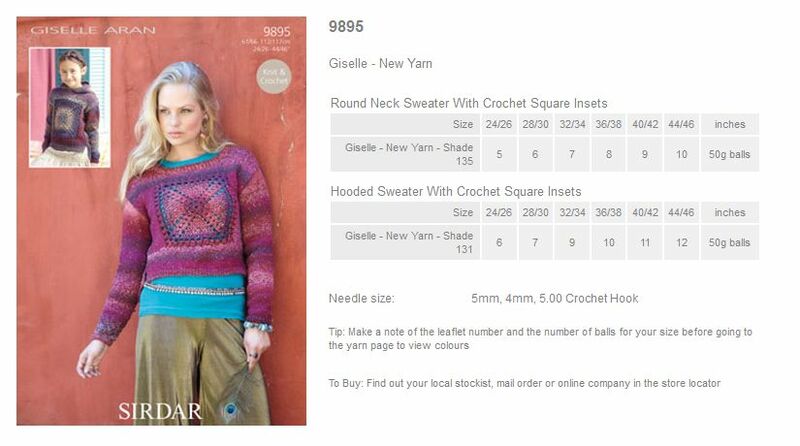 9895 - V and Round Neck Sweaters with Crochet Square Insets using Giselle Aran Leaflet with designs for V and Round Neck Sweaters with Crochet Square Insets using Sirdar Giselle Aran. 9894 - V Neck Cardigan and Flat Collared Cardigan using Giselle Aran Leaflet with designs for a V Neck Cardigan and Flat Collared Cardigan using Sirdar Giselle Aran. 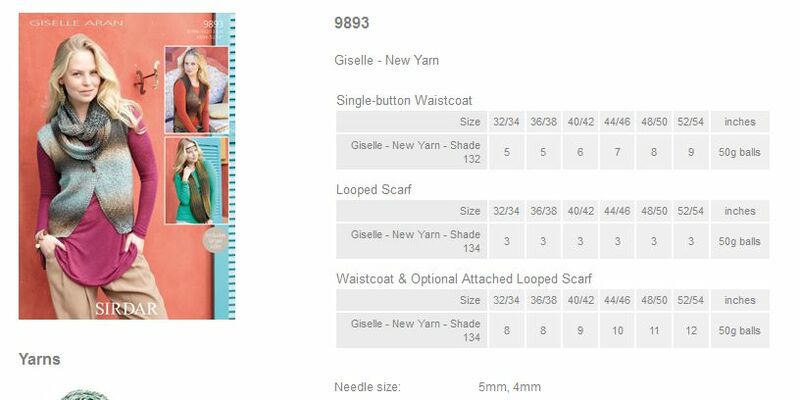 9893 - Single-button Waistcoat, Looped Scarf and Waistcoat using Giselle Aran Leaflet with designs for a Single-button Waistcoat, Looped Scarf and Waistcoat using Sirdar Giselle Aran. 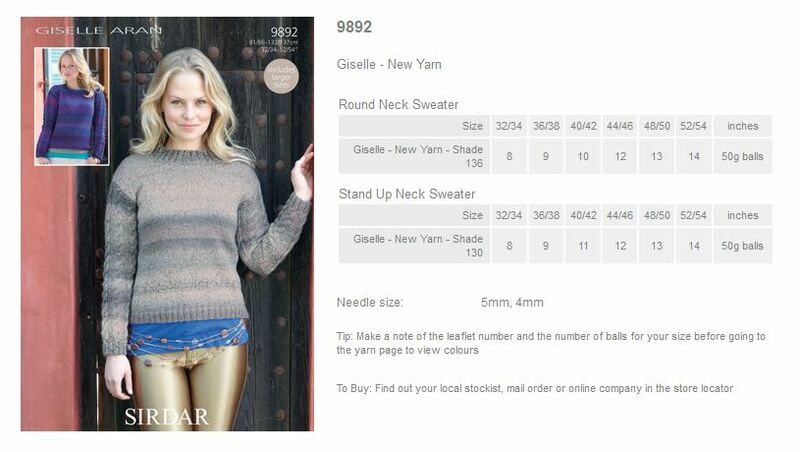 9892 - Round Neck Sweater and Stand Up Neck Sweater using Giselle Aran Leaflet with designs for a Round Neck Sweater and Stand Up Neck Sweater using Sirdar Giselle Aran. 9891 - Chanel-Style Jacket using Giselle Aran Leaflet with designs for a Chanel-Style Jacket using Sirdar Giselle Aran. 9890 - Long Sleeved Cardigan and Short Sleeved Cardigan using Giselle Aran Leaflet with designs for a Long Sleeved Cardigan and Short Sleeved Cardigan using Sirdar Giselle Aran. 9889 - Round Neck Cardigan and V Neck Cardigan using Giselle Aran Leaflet with designs for a Round Neck Cardigan and V Neck Cardigan using Sirdar Giselle Aran. 9888 - Triangular Crochet Shawl and Twirly Crochet Scarf using Giselle Aran Leaflet with designs for a Triangular Crochet Shawl and Twirly Crochet Scarf using Sirdar Giselle Aran.